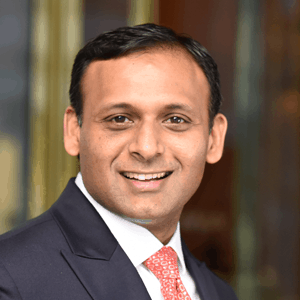 Berkery Noyes Managing Director Vineet Asthana Announced as Winner of the 8th Annual Emerging Leaders Awards - Berkery, Noyes & Co., LLC. New York — June 29, 2017 — The M&A Advisor announced the winners of the 8th Annual Emerging Leaders Awards on Thursday, June 29th. Vineet Asthana has been chosen for his accomplishments and expertise from a pool of nominees by an independent judging panel of distinguished business leaders. Vineet is a Managing Director at Berkery Noyes with 12 years of investment banking and corporate finance experience. He focuses primarily on Telecom, Media and Technology M&A transactions. Vineet is well-versed in transaction structuring, execution and board-level communications, having completed more than 40 transactions totaling over $10 billion. He brings a global perspective having worked in the US, London, Middle East and Asia. “The Annual M&A Advisor Emerging Leaders Awards was born as the 40 Under 40 Awards in the United States in 2010 to recognize and celebrate the achievements of young M&A, Financing and Turnaround professionals who had reached a significant level of success and made a notable contribution to their industry and community. With the expansion of the Emerging Leaders program to the United Kingdom, and Europe in 2016, the 2017 US award winners join a truly global network of outstanding young professionals,” said David Fergusson, President and Co-CEO of The M&A Advisor. On Tuesday, September 19th, The M&A Advisor will host a black tie Awards Gala at the New York Athletic Club in Manhattan to introduce the Emerging Leaders Award Winners to the business community and celebrate their achievements. Founded in 1998, The M&A Advisor was the first dedicated media company to offer insights and intelligence on mergers and acquisitions. As the world’s premier think tank and leadership organization for M&A, restructuring and corporate finance professionals, the firm provides a range of integrated services including: The M&A Advisor Forums and Summits; The M&A Advisor Market Intelligence; M&A.TV. ; The M&A Advisor Live; The M&A Advisor Awards; and The M&A Advisor Connects. To learn more about the company’s Leadership Services visit www.maadvisor.com.